We make Carbide Plugs and Carbide Mandrels used in the pipe manufacturing industry. These are made in fixed type as well as floating types. 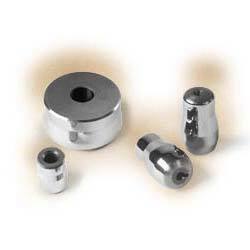 These Carbide Plugs are used to maintain the inner bore size of the pipes and is used along with Carbide Dies. We make Carbide plugs used in the pipe. tube manufacturing on a draw bench. We make these tungsten carbide plugs in floating type , fixed type or mechanically fixed type.These are used to maintain the inner bore of the pipe.Carbide Plugs that we provide is high on demand in tube manufacturing industry. Looking for Carbide Plugs ?